All good things much come to an end, as my Nana used to say. I never liked the saying as true as it may be. But add - don't be sad that its over, be happy that it happened... and with Sale-A-Bration it will happen again next year! You only have a few more days left to get the items you love for FREE! So don't delay. Some items are all ready sold out, like the beautiful glimmer paper I am so sad. So love the bling paper. But never fear - As AWESOME as Stampin Up is to you, they have added a few more items from the catalog that you can add to the want list and get it for free before the 31st! How awesome is this! The item numbers must be used to receive the item free. The (purple underlined) links take you to the page to show you the goodies. Be sure to write down the number of the free items so you will have it when ordering. 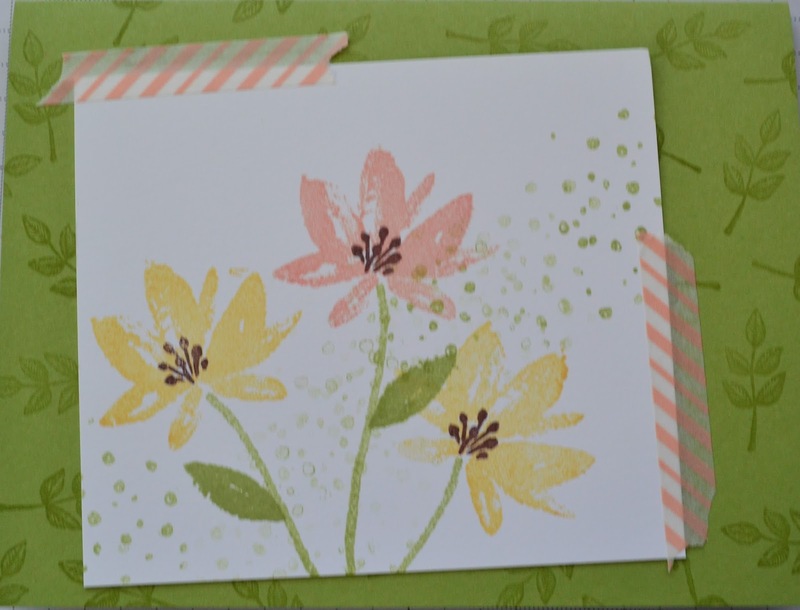 Hey Chick FREE Sale-a-Bration Stamp Set is available and great for baby, Easter and friend cards. Hurry time is running out.